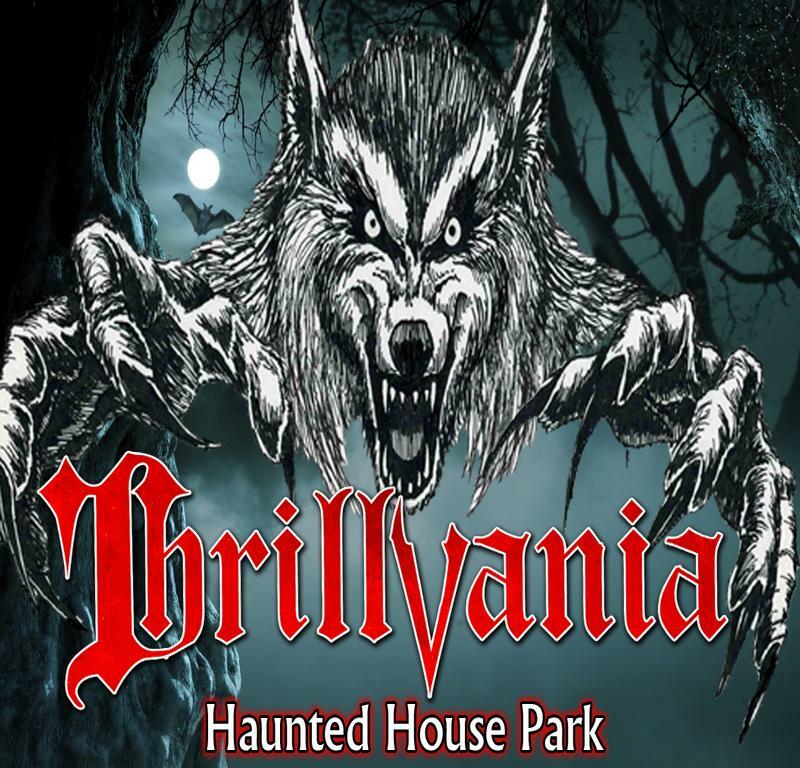 Thrillvania Haunted House Park is located approximately 33 miles east of Dallas, Texas at the intersections of I-20 and Wilson Road in Terrell Texas, 75161. Click here for a map and directions to Thrillvania Haunted House Park. With 3 haunted attractions, including the world famous Verdun Manor, Thrillvania Haunted House Park is an experience not to be missed! You can easily spend an entire evening here. Please join us this Halloween Season and see for yourself why we have been selected as one of the best haunted houses in America by Haunted House Ratings, AOL, Fangoria, Haunted Attraction Magazine, MSN and Americas Best Haunts. ABOUT "THRILLVANIA HAUNTED HOUSE PARK"
This is an experience to be had by all. Patrons enjoy multiple attractions at the most celebrated Haunted House park in America. You can easily spend an entire evening here. See why we have been selected by AOL, Fangoria, Haunted Attraction Magazine, MSN and America's Best Haunts as on of the very best. Thrillvania Haunted House Park ….. a truly haunting experience! "Welcome to Thrillvania Haunted House Park!" 3 Amazing Attractions - Nearly 50 Haunted Acres! Want to Win Tickets & Other Cool Stuff and Receive Special Offers & News? Be sure to check out our website at http://www.hauntedhousepark.com/ and follow us on Facebook and Twitter!! "Welcome to Thrillvania Haunted House Park!" 3 Amazing Attractions - Nearly 50 Haunted Acres! Want to Win Tickets & Other Cool Stuff and Receive Special Offers & News? Be sure to check out our website at http://www.hauntedhousepark.com/ and follow us on Facebook and Twitter!! My family has been coming here for 4 years and this was the worst 2016. 30 dollars for tickets and 10 for parking all for a 15 min run through all 3 attractions. Once again do not waste your money or time here. stay away from this place it's a ripoff. We went October 2016 payed ten dollars to park thrity dollars a piece to go inside and we're through all 3 attractions in 15 minutes. We will never come back to this place. WE GO EVERY YEAR AND THIS WAS THE WORST. I TALKED TO TWO PEOPLE THAT WAS PART THE STAFF AND THEY SAID IF YOU DONT LIKE IT DONT COME BACK.WE WONT BE BACK. I NEVER WRITE REVIEWS BUT THIS IS SO BAD. There were eight of us there last night, and we all agreed that this was the WORST haunted house ever. It's not scary, just a bunch of teenagers in makeup or costumes jumping out at you when you turn a corner. The staff and management are incompetent and rude. We'll never go there again. Very much worth the drive!! Headed out to Thrillvania over the weekend. We had a BLAST! Screamed and laughed the whole night. I highly recommend this place if you are looking to have some fun! Web site shows all the awards, but notice they are from years past. They should tell all attractions are not open or lower the price for what little they have. Don't waste your time or money this year at this one.